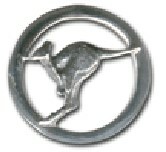 The Silver Kangaroo Award is for significant good service for International. The descriptor and delegations guideline is in the table below. Recipients of this Award have demonstrated sustained long term service to WAGGGS. Evidence of their work includes tangible support to WAGGGS and they are recognized as a role model by other WAGGGS Member Organisation, with their work providing direct and indirect impact. They have demonstrated exceptional skill in leadership at the World Guiding level. Those recognised with the Silver Kangaroo Award are a role model to Guides, Volunteers and the local community, consistently living the Promise and Law and abiding by the Code of Conduct. Any Adult Member of a SGGO or an individual member of GGA. Australian Awards Committee with the ability to co-opt external, relevant expertise to assist with the one-off evaluation of this Award.